First of all, this text in bold is a message for the mods. 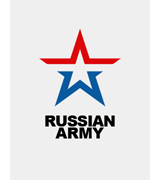 I know Sandevot published a post about recruiting for the Russian Army, but since most of it was in Russian, I decided to post something more informal in English. Helloooooo, community. Most of the forum dwellers know me, but if you're new, let me present myself. 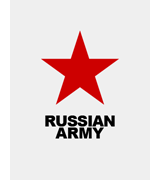 Pablo22510, from Spain, second most active user in this forum and active member of the Russian Army. As a member of the Call of War community, I was very frustrated with every alliance I was in because everybody was inactive. The Russian Army (I will be reffering to it as RA further on in this post) is one of the few pro alliances that assure you that everybody will be active and ready to help you. As some players in our alliance decided to go inactive, we kicked them, meaning we had a few places for people. We were the first free alliance in the game (before us there was only one alliance, created by moderators). It certainly does not give us an advantage, but it is pleasing to the fact of our history. Our alliance has more top players than anywhere else (top 1, top 2, top 5, top 6, top 8 and others). Each of them has his/her own style, and every one of them will help you win games with the alliance. Today our alliance ranks second in the overall ranking and first place among those who do not have lesions. Of course, the situation may change, but we will fight fiercely until he will be on the top. Our players participate in all kinds of active games - rating fights, Role-play, closed elite fights, training fights, the usual fights. In the future, we will take part in all kinds of championships. Some of us, of course, speak in Russian, but we restrict entry in our alliance based on language. We are an international team, and this is our advantage, because in addition to games, we get an interesting cultural community! In the course of much practice, we have accumulated a lot of experience, we know a lot of subtleties, tricks and secrets of victory. We use various tactical tricks and always strive to improve our skills! You can join us now, no applications and interviews! But it does not guarantee you that you will soon find yourself in the center of the event if you do not exercise their activity. Of course, one of the only things we act for is being active. In this alliance, priority is given to an individual game. Here you will find lots of organized games where without much stress can get great pleasure from their battles. Today you are free to enter into this alliance. The creation of this alliance will be in the near future. It is an alliance for beginners who want to get better. For further info, contact either Sandevot or KingFelinus via private messages in Call of War. You can also contact me, but I will be in Germany from the 1st to the 17th of August. One question, which city are you visiting in Germany? Well, first I'm going to Munich for a day or two, then I'm going to a place called Göppingen for 15 days, to spend time in the countryside, and then another 2 days in Munich and then back to Spain. You German? That place must be great.